When it comes to bodybuilding, do not ever expect overnight results. Bodybuilding for beginners takes a lot of time, consistency, efforts and focus. The best part is that the first few months is the actual time when you will make the most gains out of your bodybuilding schedule. 1 Bodybuilding For Beginners How to get started? 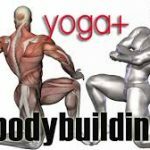 Bodybuilding For Beginners How to get started? 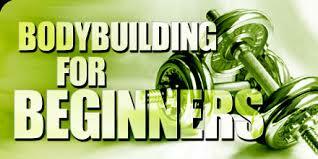 As a beginner bodybuilder, you can train frequently than the advanced and intermediate trainers. The reason behind this is straight- as you get experienced, you learn pushing the muscles harder and so you inflict damage to your body which in turn takes a lot of time to recover. On the other hand, beginners get sore but they bounce back fast as the muscular damage is not that severe. You need to understand that protein is necessary when we talk about building muscles and can easily be found in fish, chicken, dairy products, milk, some nuts, vegetables and eggs. 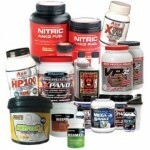 Most of the bodybuilding experts advice a gram protein per pound of the body weight to enjoy best results. So, if taking enough proteins every day becomes tough, you can drink protein shakes or consume protein bars. As a beginner in the field of bodybuilding, your main aim should be to increase muscle mass and strength for the whole body. As you reach muscle maturity, you can easily start to build specific body parts. Always keep in mind that you build the muscles first and then sculpt them. For additional motivation, you can get a reliable and determined training partner. He or she will act as a motivator to you. But make sure that he or she is also a beginner just like you so that your level of expertise is the same. This way, workout will become competitive and you will enjoy faster results. Although the modern day gyms are featured with huge machines, they are of no help to you if you are not determined. 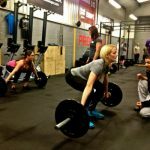 Barbells and dumbbells are best when we talk of building muscles and that too for the beginners. While many days in gym at a stretch won’t help get bigger muscles, too few sessions are either not good. So, you have to work each muscle group once in a week. As you workout, you need to give your body the much needed time to build and repair the muscles through some rest. Then repeat the process and rest again. A common error that people usually make is of thinking that they will enjoy better results when they workout for many hours each day. This is in fact not true as what happens is that the muscles get too much stressed and destroyed but don’t get the opportunity to build up and recover. This is called as over training. As you over train the body, it is not able to build up muscles and so, you may lose some muscles you already have. The biggest thing to your bodybuilding success is to be consistent with your workout sessions and to get proper nutrition. You can easily follow workout routines and make progress, just ensure that you work all muscle groups one by one. So, keeping these pointers in mind, as a beginner, you can enjoy healthy and fast bodybuilding without any hassles. Mike Shiles is a bodybuilder, gym owner, freelance writer, success coach and author of “Burn fat build muscle. He has written thousands of articles on exercise, nutrition and health.